The hackers uploaded the compromised data in par-anoia.net , also they have posted a TOR mirror for the leak. 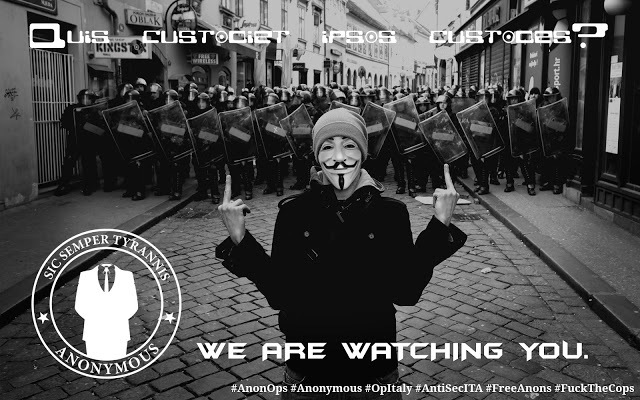 In Post #AntiSecIT Analysis of the Anonymous Italian job Security Affairs mention that "Anonymous group in Italy appears less active respect other countries, and this has misled those who have been victims of their attacks. Too much Italian security professionals consider the group as a disorganized collective unable to cause serious problems to the political reality of the country." The hackers posted in their official site that "Obviously the data is in Italian, thus limited information is available at this time. But several Italian researchers are busy with assessing the material already." They have pointed out some folder which contains assorted material from the archives, like details about wiretaps from Telcom Italia and confidential technical information about interception devices. According to official report from Italian Anonymous, the full archive contains 3500 private documents.